Sea turtle season has begun in Mexico. 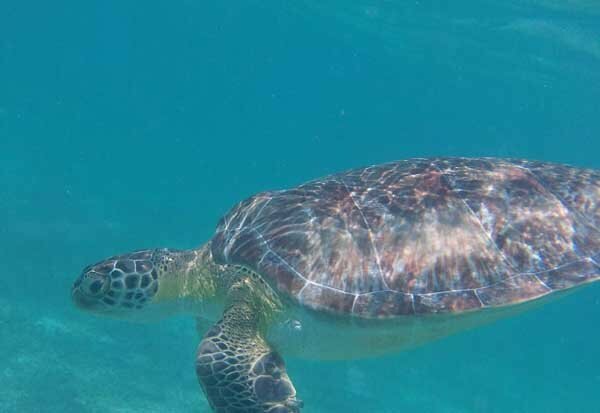 The coasts of the Riviera Maya, Cancun, and Los Cabos once again will witness the birth of thousands of turtles as they leave their eggs and enter the sea for the first time. It’s a magical and wonderful process, but it is also full of risks that begin the moment the nesting turtles return to the beaches where they were born. Here, they lay their eggs and begin a new cycle of life to preserve their species. Urbanization has created big changes on the beaches where the turtles were born, not to mention humans that steal the sea turtle eggs. However, thanks to the actions of Mexico’s Sea Turtle Conservation Program, every year our country increases the care and protection of this ancient species. Mexican legal standards and international treaties ensure the birth of thousands of baby sea turtles who will one day return to the same beach where they were born to continue the cycle. There are eight sea turtle species throughout the world, and all of them are endangered. 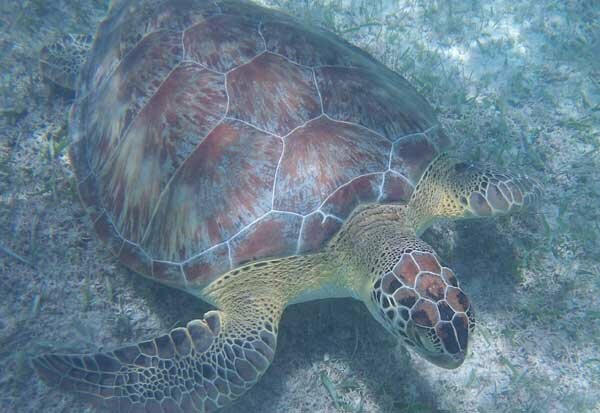 Seven of these species come to Mexico to lay their eggs, and four of these species come to the beaches of the state of Quintana Roo (home of Cancun and the Riviera Maya), which is why Mexico is known as the Country of the Sea Turtle. We must remember to respect this beautiful species and stay informed about how we can help preserve them. At Sandos, we’ve been working for years with veterinarians and biologists to make sure that sea turtle nesting season can continue with as few negative human effects as possible, in hopes of increasing survival rates. Sandos resorts are very lucky and proud to welcome four sea turtle species every year to our Riviera Maya beaches, including: loggerhead (Caretta caretta), hawksbill (Eretmochelys imbricata), green sea turtle (Chelonia mydas), and leatherback (Dermochelys coriacea). Each sea turtle nest holds between 50 and 120 eggs, with an incubation period of 48 to 65 days. In this region, we work with the wildlife protection organization known as Balam Ka’an Wild, who provides us with specialized personnel. Known in Spanish as “tortugueros”, these experts stay at the resort throughout the 6-month sea turtle nesting season (May through October) to protect and monitor the nests. They mark the nests and in some cases relocate them to a fenced-in area located at the Turtle Camp to protect them from predators and thieves, ensuring the conservation and hatching of the eggs during their incubation period. In 2014, the Sandos Turtle Camp had 64 protected nests, for a total of 5,665 baby sea turtles that were able to reach the ocean. In Los Cabos, the sea turtle species that nests on our shores is known as the olive ridley. Last year (2014), we had over 35 nests roped off on the beach at Sandos Finisterra resort. So far in 2015, we already has three nests in Los Cabos; one of them has already had its babies released into the ocean, and we hope the others will be ready by the first week of July. At our Riviera Maya resorts, we are protecting three nests, with one about to hatch. At Sandos Hotels & Resorts, we take this topic very seriously. In addition to our Conservation Plan, we also have an Environmental Education Plan known as “Tortugueando” (Turtle-ing), which is designed to teach sea turtle conservation and protection to the boys and girls who visit us on vacation, the children of our employees, and the community as a whole. This program creates awareness through a variety of interactive games and activities. We also provide information and awareness to employees and local schools that come to visit us. This past May, we had our first Kids’ Drawing Contest for our employees’ children, where the kids expressed their ideas on how to protect local sea turtles. We have also carried out plenty of sea turtle awareness activities with our guests right here at our Mexico resorts. This ancient species is currently in danger of extinction. We must all be aware of how we can prevent their extinction and decrease the demand for meat, eggs or any other sea turtle product so that hunters no longer have a reason to put this species at risk. Eco-friendly travelers can contribute to sea turtle conservation by making responsible decisions on their vacations. If you want to learn more about sea turtles and help to protect them, sign up with the Rainforest Alliance. They will send you a wonderful presentation on protecting endangered species, and you’ll be connected to a worldwide network of people who are activing to protect our planet’s biodiversity before it’s too late. It’s up to all of us to protect the environment! En la empresa donde laboro estamos interesados en el evento de liberación de tortugas dentro de nuestro programa de valores institucionales. Me gustaría saber el mes o la temporada en la que podría tener algún acercamiento con ustedes y, sobre todo, la logística para ello. ¡Buenos días Juan! Disculpe la tardanza en contestar. Ya mandé su información a nuestro director de ecología. A la brevedad estará en contacto con usted por correo. ¡Saludos! ¡Gracias Graciela! Tenemos la gran ventaja de encontrarnos en destinos con mucha belleza natural, y es nuestro deber cuidarla. ¡Un saludo!